Humans have dramatically changed planet Earth and are altering some of Earth's main cycles, the water, carbon, nitrogen and phosphorus cycles. This section contains brief outlines and graphs summarising Earth-system science, and key developments in the last few decades. Much of the content of this section is derived from IGBP's first synthesis, Global Change and the Earth System (Executive Summary). 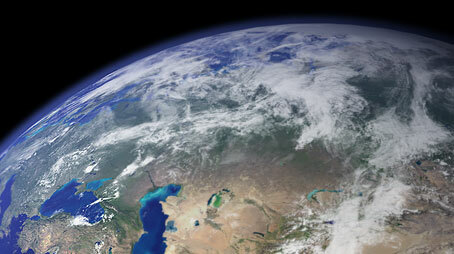 Earth behaves as a complex system. Complex systems can respond abruptly to changes within the system - these abrupts changes can be highly non-linear. There is strong evidence that the Earth system is prone to such abrupt changes. More information. See also the 2001 "Amsterdam Declaration". The declaration was signed by the four chairs of the international global-change programmes. The Earth system has always changed. But right now it has an additional pressure forcing change: human activites. This force is now global and dominant. The response of the Earth system to this pressure is an important area of science. More information. The industrial revolution led to a significant acceleration in human activity, but the real acceleration at a global level began in the 1950s. The period since then has become known as the "Great Acceleration". More information. Some scientists suggest we have entered a new geological period dominated by human influence. Here are some. But what is the case for the Anthropocene and what is the origin of the phrase. More information. The Climate-change index provides an instant snapshot of how fast the climate is changing and in which direction. Find out more about the index and how it is calculated. More information. Earth is a complex system. In the last two decades we have rapidly increased knowledge of how the Earth system responds to change, including feedback mechanisms and boundaries. More information.